This was Travancore‘s second voyage to Western Australia, the previous voyage had arrived in January 1853. 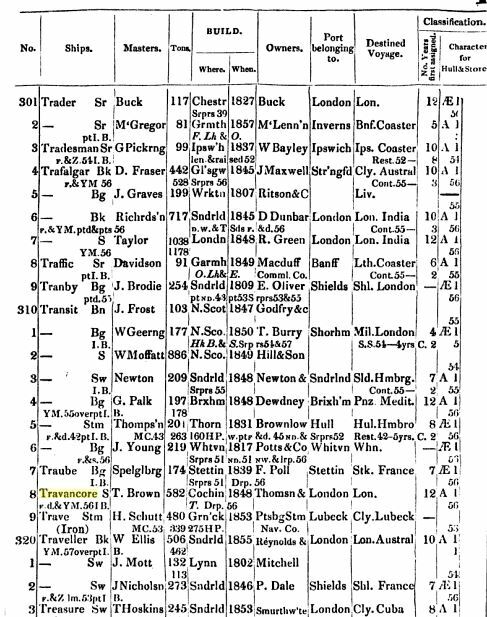 Travancore was not a convict transport on either occasion and on this second voyage left London on 23rd January and arrived in Fremantle on 29th April 1857. Travancore was built in Cochin, India in 1848 and registered in London by her owners Thomson & Co. Her Official Number was 23315 and Call No. N.R.D.H. She was a 582 ton early frigate barque with a teak hull, 3 masts, 2 decks + poop, square stern with a figurehead of a female bust. Master for the voyage was Captain T Brown MN with a crew of 24. Travancore carried a total of 256 passengers comprising 27 single men and 55 single women. 116 married persons were on board including a number of convicts’ wives intending to join their husbands in the Colony. There were 58 children under 12 years old on board. 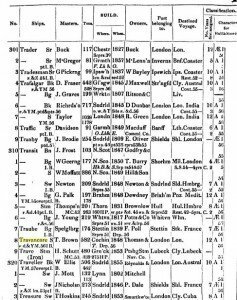 Among the passengers was Captain J D McQueen appointed as a Staff Officer, Enrolled Pensioner Force 1857-1859. He commanded the Fremantle Detachment and resided there. Six policemen formerly from the London Metropolitan Police Force had been appointed in England to take up positions in the WA Police Force. These were Sergeant Richard Gash, Constables Henry Charles Dunmall, Joseph Dyer, John Hyde, John Mewett and William Snook with wives and children. Of these men, Constable Joseph Dyer was a Crimean War veteran formerly in the Royal Mounted Staff Corps who had seen action at Sevastopol. Royal Engineers’ Expedition to the Swan River Colony, Lieut. Derrick Prall, R.E., 1999. Crew List Index (CLIP) Website. Lloyds Register of Shipping Website. Dictionary of Western Australians, Vol. 3 (Free 1850-1868), Rica Erickson. 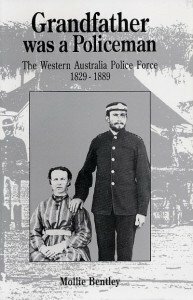 The Veterans: a history of the Enrolled Pensioner Force in WA 1850-1880, F G Broomhall. 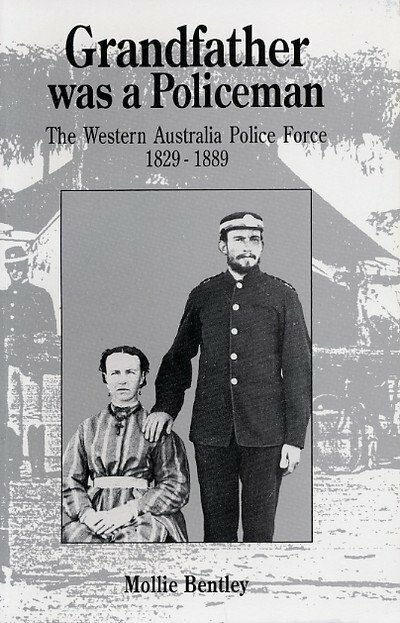 Grandfather Was a Policeman, The WA Police Force 1829-1889, Mollie Bentley. Peter Conole, Police Historian (retired).